People travel across the globe for various reasons – to discover natural beauty, for adventure sports, some for food, some to experience the diversity in culture across the globe, and the list goes on. Then we have that one group of people who would hop on the plane and travel from one place to another to shop. 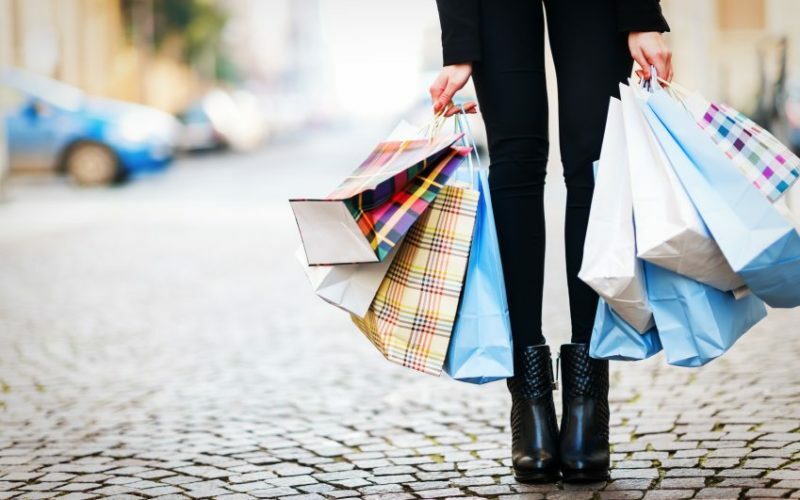 Here are the top six shopping destinations around the world that would quench your thirst to shop and take you places. New York: This city tops it all when it comes to shopping destinations. New York has many neighborhoods offering you with ample shopping options. Big names like Bloomingdale and Macy’s are two of the most popular tourist destinations. Then there are neighborhoods like SoHo and Nolita, competing to provide the best of trends to its visitors. Hong Kong: Cosmetics, jewelry, designer clothes, handbags, and accessories – all these women-friendly items are available in abundance in Hong Kong. Malls like Landmark and Pacific Place will give you some luxurious shopping experience. There are malls too, that would fit your moderate budget, ensuring you get the best for what you pay. However, for those who want to explore the street markets might want to visit the Ladies’ Market, Temple Street Market and such. Out in the streets, you could get a taste of the local style and you get the opportunity to test and enhance your bargaining skills. Tokyo: Tokyo is the ultimate high-end shopping destination in Asia. Any brand, you name it and Tokyo’s got it all. You will not just find an outlet of a high-end designer in a mall. There will be an entire street filled with famous brands. Ginza is one of those places, filled with luxury boutiques like Dior, Louis Vuitton, etc. Shibuya is another destination to do some lively shopping, that caters to the shopping lists of youths. And the famous Harajuku district is there to greet you if you are into something vintage, gothic, or Kawaii. This will quench your anime fashion fantasy. Singapore: So far, we have discussed some high-end shopping destinations. Singapore isn’t far behind too when it comes to doing some high-end shopping. However, Singapore is mostly known for budget-friendly shopping. No doubt there are malls and plazas selling those big brands, but Singapore has also got thrift and flea markets whose popularity never fades. City Plaza is the ultimate budget-friendly shopping destination here and shops that sell online cuts down the price of their product to almost half here. So make sure to visit it. The designs won’t disappoint you. Paris: Well, when we say Paris; everyone knows what it is known for apart from the French revolution. We all know Paris is the fashion capital of the world. It is home to big brands like Chanel, Dior, Louis Vuitton, etc. Women into Haute Couture should put Paris up as their topmost shopping destination. Apart from big names, Paris is filled with designer depots, and these designers know what’s best for women and are ready to give you huge discounts if you want to purchase it. Triangle d’Or and Champ Elysses are places to start your shopping in Paris. London: Home to fashion icons like Mary Quant who gave women mini skirt and Vivienne Westwood, Alexander McQueen and many more. London poses as the ultimate competitor to Paris to grab the title of the fashion capital. Bond Street, Mayfair, Oxford Street are some high-end shopping destinations. Visit the Carnaby’s if you want to get a whiff of the fashion revolution from back in the 60’s. Or visit King’s Road to buy something chic and unique labels. Spitalfields is where you shall encounter young designers who set up individual shops to woo you with their fresh, unique and creative designs. These places are great for shopping and are always at the top while searching for shopping destinations across the globe. Make sure to include them in your itinerary when you plan your next trip.